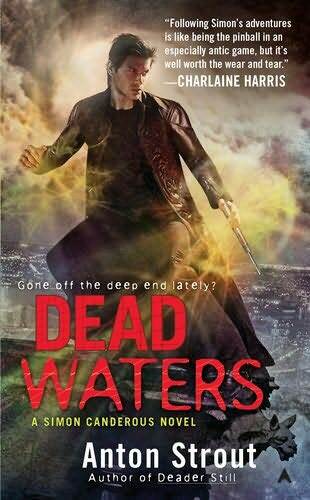 So as you undoubtedly know, America’s Favorite Lower Midlist Urban Fantasy Writer Anton Strout has a new book coming out today: Dead Waters, book #4 in his Simon Canderous series. I knew that a book with a title like that would involve sea creatures of some type or another, and was rather appalled to learn that it contains no mermaid or mermaid-type creature whatsoever. What does Anton DO for all those pages, then? I suppose we will all find out soon enough. In the meantime, I ask Anton about this shocking oversight and its many implications in the following interview. But first: let me point out that Anton is not the only one with a shocking lack of sympathy for the mermaid kind, as you will see in this guest post I did for Warren Ellis last week. Also: let me point out that Anton is one of the loveliest, sweetest, funniest, charmingest peoples around, despite his obvious shortcomings. In fact the writer Jeanine Cummins and I workshopped with Anton for many years in New York and we all wrote our first books together, over bowls of nachos and large margaritas, and then all ended up joining a workshop with novelist Jennifer Belle, where Anton earned infamy and nonstop mockery for writing a scary story about a donkey lady. 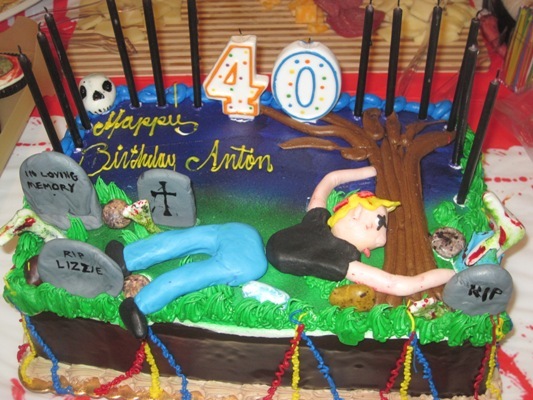 Also: for his 40th birthday last year, Anton’s wife threw him a surprise ZOMBIE PARTY. 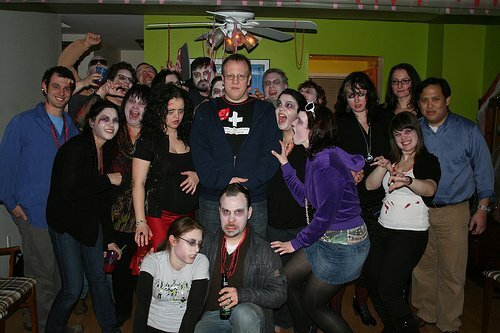 Even yours truly dressed as a zombie for Anton, so you know he can’t be that bad. 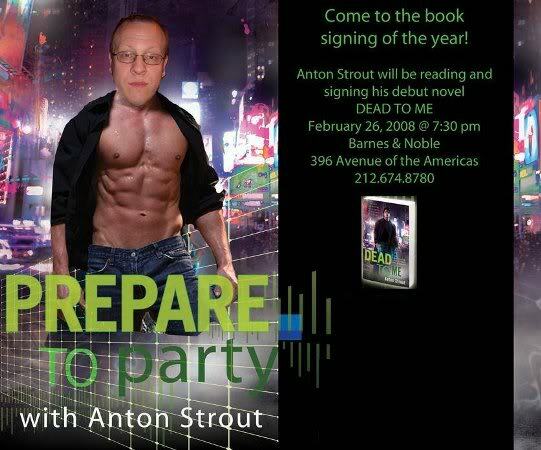 So Anton, I understand that your new book involves sea monsters and sea mythology. Can you tell me about that? Without giving away too much about the plot of Dead Waters, let me just say that most of my books take place in Manhattan, where strange paranormal things occur more regularly that delays on the F train. 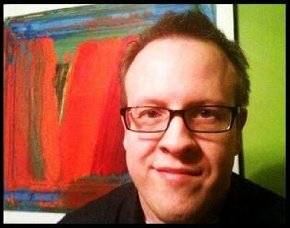 I write about all aspects of the city, but let us not forget… Manhattan is an island, surrounded by water as my 7th grade teacher taught me, so I thought it would be fun to explore the allure of where the rivers and ocean meet and what type of creatures might lurk beneath the waves. I think it’s that unknown world that is so close yet oh so unfathomable to us that called out to me with its wet, bloated, waterlogged hands. Does your book involve mermaids? Sadly, it does not. I do have some lovely aqua-zombies and ghosts that linger on certain bridges leading in and out of the city, though. Plus a few surprises I can’t share with your readers here. If it did have mermaids, though, I think they would be vicious with pointy teeth and razor nails. Definitely a tail that could whip around and the fin’s sharpness would flay a man open, leaving him to drown underwater in a pool of salty water and his own blood… man, I’m hungry now. But no, I have no mermaids in my series…yet. Do you feel this lack of mermaids was a terrible oversight, or do you have some more subversive reasoning? I’M COMFORTABLE WITH MY SEXUALITY.. WHY DID YOU ASK? *cough* I’m sorry, what was the question? Oh right, my lack of mermaids…. Listen, Carolyn, I’ve been meaning to talk to you about this sick obsession you have with these half fish/half women creatures… you need to stop. It’s unhealthy. But still, isn’t it strange to have a book called Dead Waters that involves magical creatures and to leave out mermaids? It’s not strange at all! First of all, they’re just… weird, right? There’s too many questions about them that go unanswered, and that frankly, means they’re not fit to be in my fiction! For instance, does a mermaid ever have opposite body parts? Like, do you ever see the bottom half of a lady with a fish torso and head? Hmm.. wait. I think they have that in my first edition Dungeons & Dragons Monster Manual.. it’s called a maidmer. I think I remember being seduced by one when I was playing D&D in college. See? They’re confusing! As a man who wore silver unicorn cufflinks to his own wedding and writes stories about donkey ladies, clearly you have a deep love of hybrid creatures. So you must love you some mermaids, deep down. Right? But my main series is urban fantasy! See? Urban! Right there in the title. Fish ladies don’t belong in a city environment… well, maybe if the city is Atlantis… perhaps I’ve judged them too harshly. What is your feeling about mermaids generally? The general philosophy of Manhattan’s Department of Extraordinary Affairs (the supernatural policing agency in Dead Waters, the fourth book in the Simon Canderous series out as of 2/22) has usually been pretty simple: Shoot first, Stake first, Holy water first, Silver bullet first, Ask questions later. Given that, I think there’d be a real risk of a mermaid ending up with a harpoon through her before an opinion could be formed on the merpeople of the world. Me, however, I’m a lover of all the ladies of the world…I be the Lando Calrissian to their Princess Leia… and I have been known to do a rousing rendition of Under the Sea. You told me that my book Mermaid made you cry on the bus. Was that guilt you were feeling? Sometimes a writer reads something by another writer that moves him to tears, that makes him say ‘damn, this is some fine writing! I wish I had written that!’ This, however, was not one of those times. I may have been a little bit motion sick. It certainly wasn’t the compelling characters or the interesting take on a familiar tale you crafted with warmth and exacting attention to detail. Hmmm.. familiar tale? Or should that be tail? A re you planning to write something about mermaids soon, to make up for your terrible oversight? I don’t think there have been any zombie mermaid tales out there that I’m aware of, so perhaps! Do you have any advice for aspiring mermaids, other than to avoid your books? And finally and most importantly, who ARE the Dorks of the Round Table? The DotRT were a group of misguided young writers who thought maybe they’d get off the butts—fishtailed or otherwise—and start writing instead of slacking around as they had been. And guess what? Those three writers all became published authors! One of them, Jeanine Cummins, wrote a telling tribute to some lost members of her family that went on to do quite well in the stores before turning her eye to fiction. The other one, a Miss Carolyn Turgeon, went on to write glorious works of literature, or so she thought… I always knew she was really a fantasy writer I mean she writes about magical fish ladies, and if that isn’t like an episode of Star Trek or something from The Lord of the Rings, I don’t know what is!. And me? The last Dork of the Round Table? 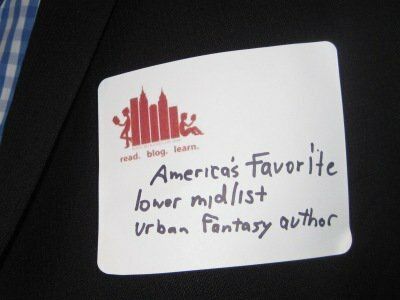 Well, I became America’s Favorite Lower Midlist Urban Fantasy Author™! You see? If you have the perseverance of a certain little mermaid, maybe you too can make something special of yourselves in this world… just… like… us! See what I did there? Full circle, baby, full freakin’ circle!